At the starting line on Sunday. Michael Schroeder (red shirt, #113) took first overall; Molly Trachtenberg was the first woman to cross the finish line. Michael Schroeder, 23, now lives in Charlotte, N.C., but the race winner grew up in West Tisbury. 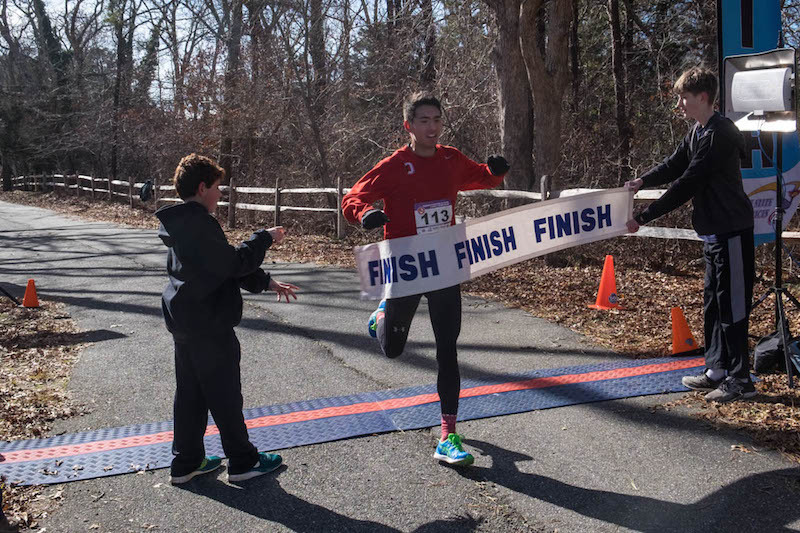 He is the son of Martha’s Vineyard Regional High School track coach Joe Schroeder and Marylee Schroeder, who is also a well-known marathon runner. Michael Schroeder often volunteered at the event when he was younger. Mr. Schroeder finished in 1:57:07 for the 20-mile course. The first woman across the finish line was Molly Trachtenberg, 30, of South Boston, in a time of 2:17:33. She plans to run the Boston Marathon in April. “Today I was out there for a good training run,” said Ms. Trachtenberg. This was her first try at the MV 20 Miler, and her first visit to the Island. The race also features a relay competition, with two runners each running a 10-mile segment. The relay winners were the husband and wife team of Mike and Emily Stone of Falmouth. They finished in 2:08:08. “This is always a fun race, we’ve run it the past few years,” said Mike Stone. 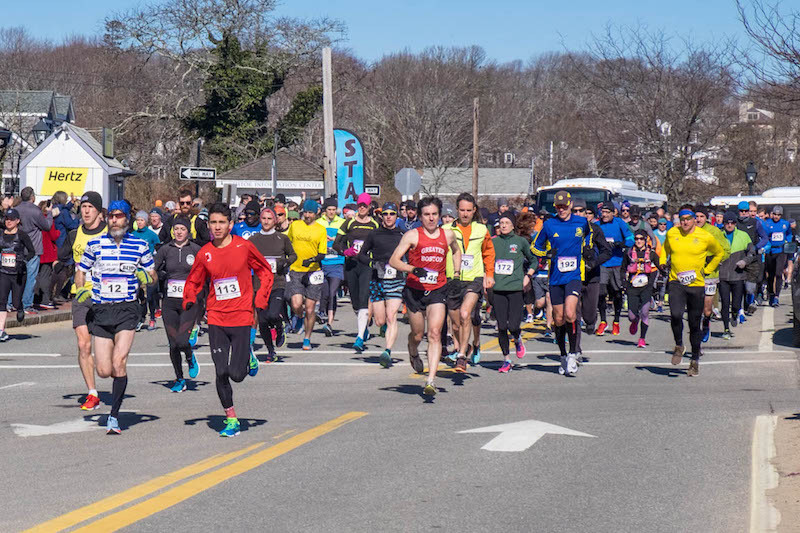 Race director Todd Cleland said about 380 runners competed in the 20th annual running of the 20 Miler, which falls at a very convenient time for runners planning to compete in the Boston Marathon. The race is known for harsh weather and warm community participation, with youth sports leagues operating water stations along the course. Proceeds from the race benefit Island youth sports programs, including hockey, football, figure skating, lacrosse and running. How proud you must be Michael to come home and win the race. BRAVO! !